When you see cracks, holes, and uneven texture in your drywall, you do not have to simply endure them and turn a blind eye. You have to find an expert contractor for drywall repairs to work on your house’s problem spots. You do not have to deal with these problems for years. An expert drywall repair service professional can help you get rid of these issues for good. The right hire for your home repair needs is not all that difficult to find these days. When you know what you are looking for, you can shortlist your options and pick the right contractor right away. You should hire a contractor who has experience and training and one who can be trusted to do high-quality work. You can ask your friends for referrals based on firsthand experiences. But it would be best if you do your own research. You can check out some websites that offer local drywall repair services in your area. Consider those with proven skills and knowledge so you can guarantee they can provide you with great results. Drywall construction provides great advantages to homeowners. It is simple to install and does not require a big budget. Also, the material is fire-resistant and can be wall-papered, textured, and painted to match your interiors. When it comes to maintenance, you don’t need to overspend in keeping it clean and in its original color. An expert home building contractor can make sure that your drywall is attached properly for durability. In terms of installation, it is faster to set up, install, and repair drywall than traditional plaster. Drywall is durable, thinner, and comes with joints. It is not vulnerable to holes and dents. Hence, it is easy to repair. With expert repair services, you are guaranteed that your drywall is fire resistant and can withstand the even harshest of conditions. There are home contractors that offer emergency service so you do not have to worry anytime you discover drywall holes and cracks. Drywall repairs on a hallway wall. Just like deck repair which is another service we offer, ceiling repair, and other home repairs, drywall repair requires skills to achieve what the client exactly wants. Expert craftsmen who specialize in drywall finishes and other types of drywall repair service can provide you with high-quality repairs and reliability. 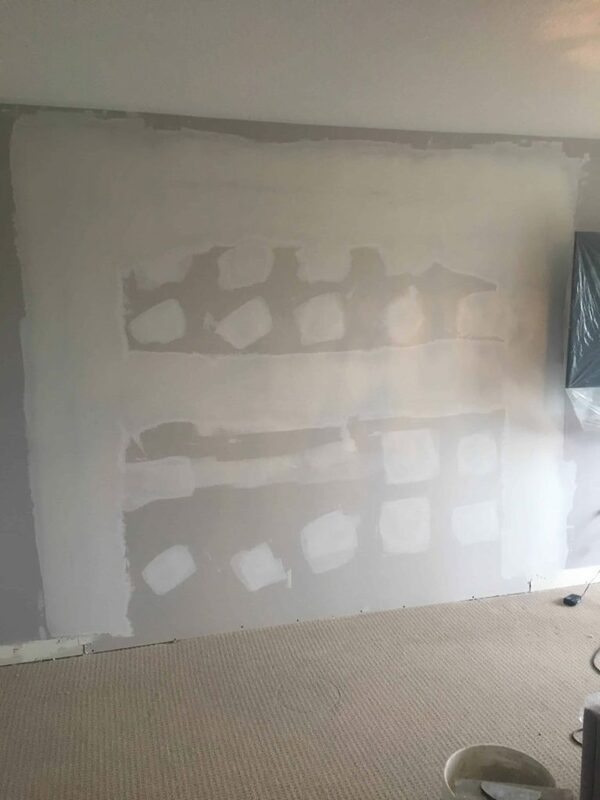 If you have cracked drywall and texture problems at home, these specialists are ready to install, remodel, add, or renovate your drywall at more affordable costs. Work with them and see the difference.